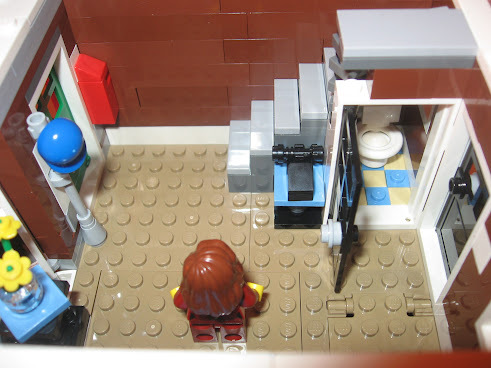 With so many Lego fans in this forum let's share our childhood memories and grown up Lego projects here . For me Legos always were my favorite toy. Dolls? Barbies? Cherry Merry Muffin? No way, I wanted my Lego Set for Christmas! And I was lucky enough not only to have parents who bought me Lego, they even bought perfectly low Lego tables for my room. 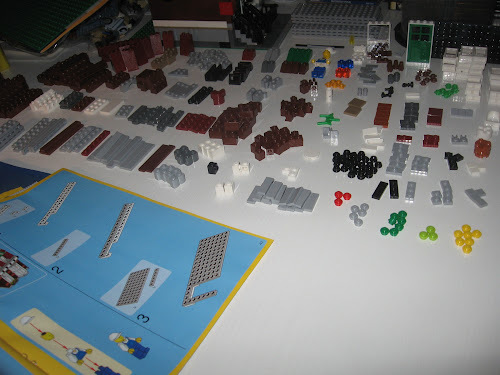 So I could build whole landscapes without the need to put the bricks back in the boxes at the end of the day. It was my favorite corner of the room. My favorite themes where castle and space, but I also got some pirate and city sets. Most of the time I just played fantasy storys with the existing sets, but later I used the bricks to build things like the Jurassic Park buildings. 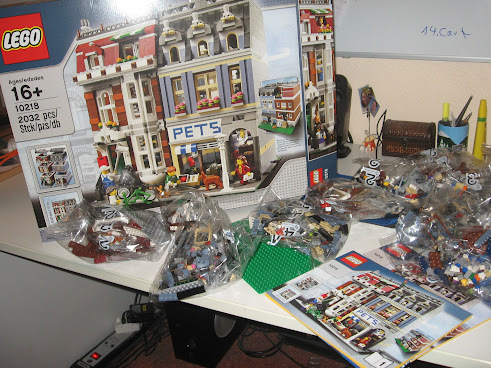 When I grew older and moved out I told my mom not to give away my Legos. 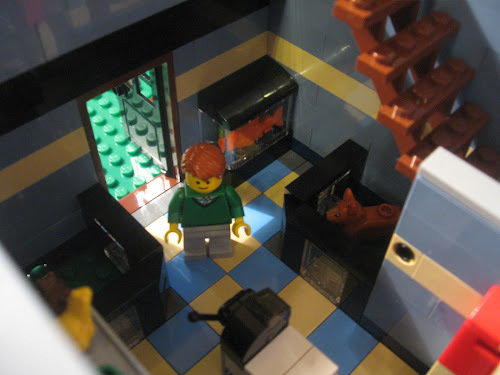 I admire people who use Lego to build real pieces of art, and maybe I will have my own lego room in a couple of years . Now I don't have room for this, but I started to collect mini figures as a little compensation. Nothing special, but I still love some of those old sets. Like the black castle. When I played with Legos, I attempted to make houses, castle walls, etc when ever I played with action figures with my brother! It was sooo much fun when I was younger. 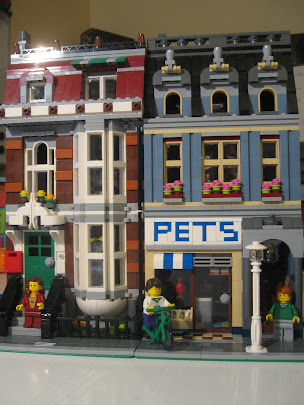 lego was my favourite toy from when i was little, i still use it today with my friends to make stop-motion films. I used to know a guy who but ran out of steam after ten or so comics. Which is a real shame, because it was showing all the signs of being something very special indeed. LEGO is the basis of my creativeness and that for me is 'nuff said. Being a child I hadn' too much legos. It was, and it is now, an expensive toy... But I kept them. I also get a fine bunch of blocks abandoned as trash that helped to restore some of my old sets and have received as gifts some new stuff from Star Wars. The minifigures bags are the 'new revolution' in lego, and as my sister likes them too and has begun to get them, I have adquired many of them... using barcodes and bump codes to get the desired ones. I have 18 minifigures (from bags), 2 troopers, 8 star wars characters, 5 minifigs from older sets of legoland and 3 'primitives' when they hadn's arms, legs and even face. 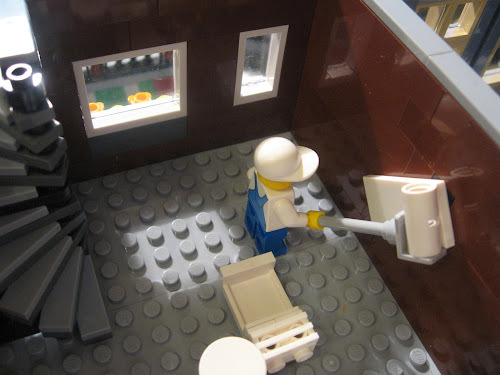 I like very much the pictures taken of these minifigures in real scenarios... and I've began to take them when I have to make field-works in my job, trying to put them in the photos I have to made. Indeed, today I have put a photo with a stormtrooper that I made yesterday in a oficial document. (It almost can be seen, but if you are told about it you can recognize it) ... an he won't be the last. The two first stop-motions were awesome. Those movies are awesome . I made one myself some years ago, but it's really bad compared to those. It only took us one day. I can see if I still find the videofile somewhere. And I am really excited right now because I got my Easter gift! Well... it's something I paid for myself, but I won't open it till then . I love those annual releases because the houses show so much details and you can combine them to one big street. My "Easter present" did not survive unopened till Easter... here are some pictures . It was a lot of fun to build such a huge set! And the many intersting details are amazing. 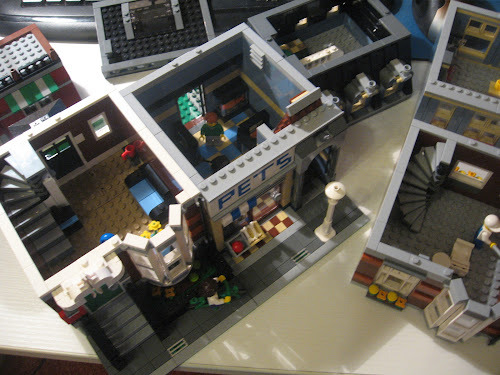 For example the "Pets" letters built with lego bricks, which are combined in different angles. It even has a lightsaber rack near the stairs (3rd pic)! I also like very much the detail of the painter with a flat tile on the wall representing the paint. Here's something I worked on Lately in LDD: A Barbarique/Ottoman Pirate Galley, called Al-Zephiir. ARRR! There be Treasure here Mateys! WTF... this would take hours, no, days for building someting so good in LDD. I hate it.